Another D-FW TV reporter -- this time David Watkins -- has left the profession and found another endeavor. Watkins, a Plano West High graduate who joined the station’s sports staff in February 2012, says he “found the perfect landing spot” as the new Director of Business at Dallas-based Elevate Brand Marketing. 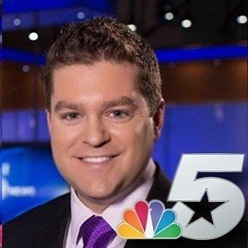 Watkins won three Lone Star Emmys and a regional Edward R. Murrow award during his five years with NBC5. He also anchored the Wingstop Inside High School Sports program for the station after originally joining NBC5 from KARE-TV in Minneapolis. In the past several years, a number of seasoned local TV reporters have left their stations to find more stability and better hours in new lines of work. They include Brad Watson, Calvert Collins, Janet St. James, Craig Civale, Steve Stoler, Cynthia Vega, Casey Norton and Chris Hawes.